A complete presentation to present the history, legacy and vision of the organization. Can be used as is, or customized for specific audiences or localized. Powerpoint presentations, banners, booth displays and billboards. 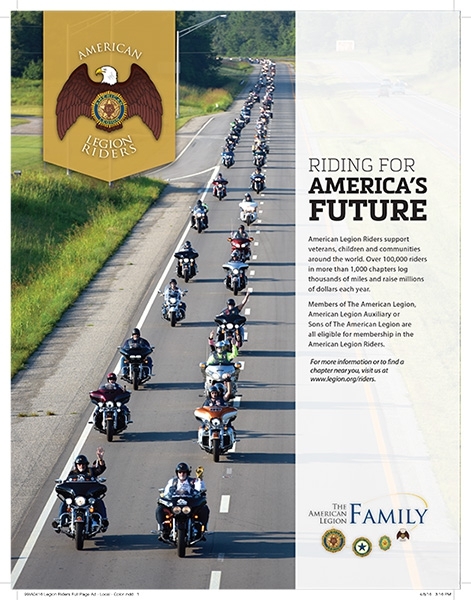 Promote membership and support for The American Legion Riders in your community. This 8.5” x 11” ad is suitable for use in print publications or as flyers. Contact information can be edited for localization. 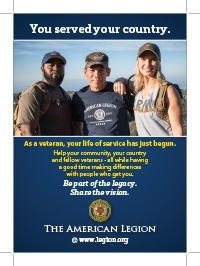 Promote membership and support for The American Legion Riders in your community. This 4.875” x 11.5” ad is suitable for use in full color print publications. Contact information can be edited for localization. 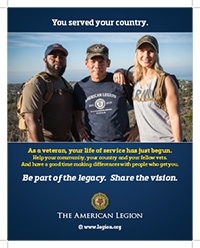 Promote membership and support for The American Legion Riders in your community. This 4.875” x 11.5” ad is suitable for use in black and white print publications. Contact information can be edited for localization. Downloadable files built to common print and digital media ad specifications. 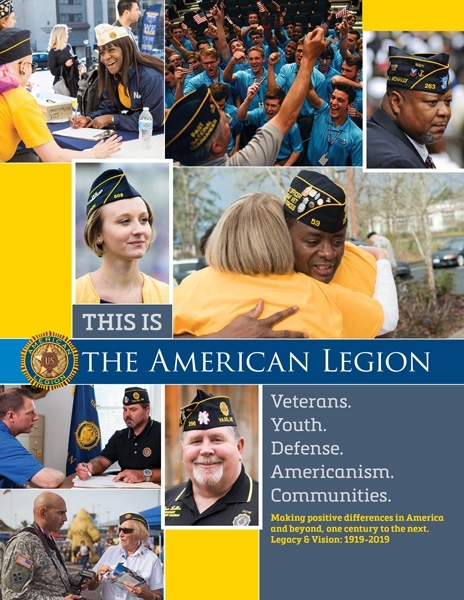 8.5 x 11 printable PDF brochure that highlights the positive influences The American Legion has on communities across the country, with national headquarters contact information. Leave-behind products such as posters, flyers, brochures and door-hangers in print ready and customizable formats. 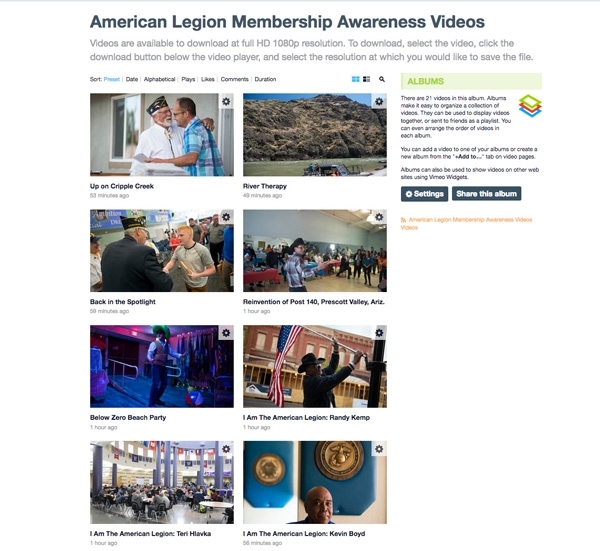 Downloadable videos that inspire, illustrate membership success stories and show how to execute membership processes in posts across the country. Can be used to stimulate ideas during post meetings, energize officer orientations or to generate interest in membership drives and revitalization efforts. 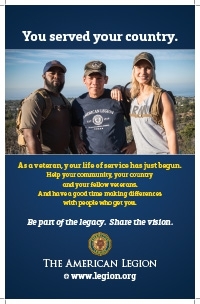 Help tell The American Legion story using commercials, PSAs and promotional videos. 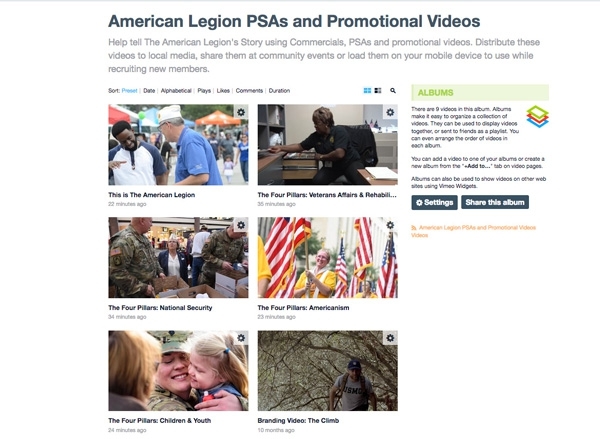 Distribute these videos to local media, share them at community events or load them on your mobile device to use while recruiting new members. 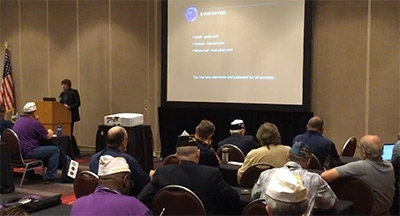 American Legion National Commander Denise Rohan video messages for members. These messages can be also be distributed to local media, shared at meetings or other community events. Fun video clips illustrating some of the pitfalls and best practices when engaging eligible members, welcoming new members and retaining long-time members. 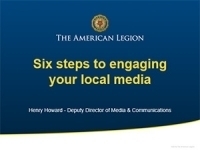 Share these videos on social media, post websites or download and play them at meetings. 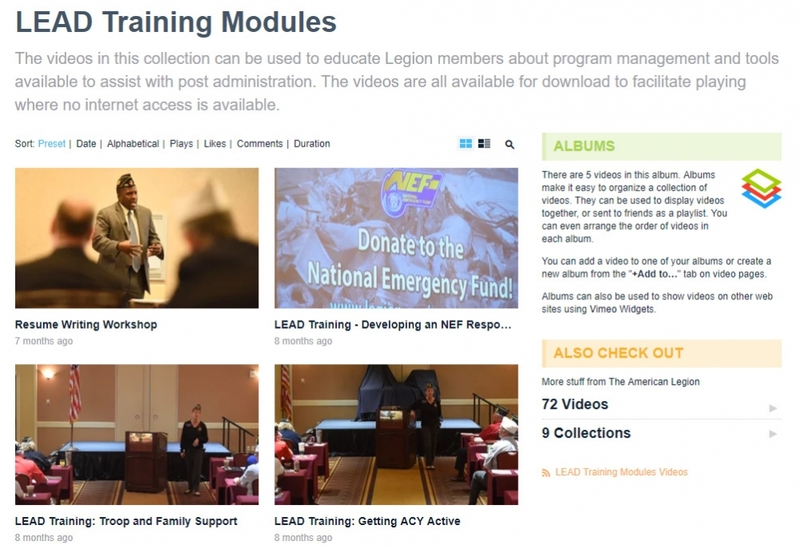 Downloadable videos that illustrate the effectiveness of Legion programs or services. Downloadable videos of various Leadership Education and Development sessions. Topics include program management and post administration tools. Collection updated as more sessions become available. 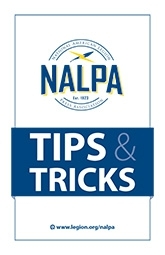 This guide contains useful tips and tricks that NALPA members can use to promote activities at the post, district and department levels. Other helpful tools and resources.